Ladies 50s Costume By: Forum Novelties, Inc for the 2015 Costume season. 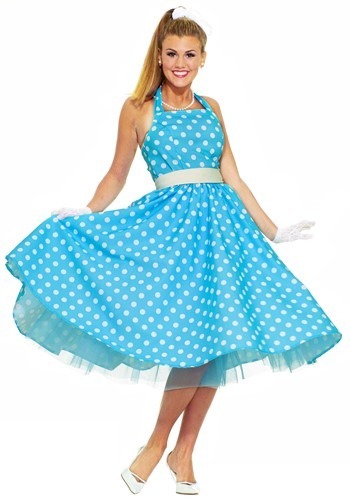 You'll look classy and cute in this adorable polka dot Ladies 50s Costume. Attend a sock hop or the prom in style and swing the night away!